In one the first scenes of “Away From Her,” Fiona Anderson (Julie Christie) puts a pan on a freezer. There’s no music to put this action in context. Fiona’s obliviousness and her husband Grant’s (Gordon Pinsent, voice of God) confusion add to the mix of what I felt as an audience. Do I react in shock? Burst in inappropriate laughter? After that scene in the kitchen and other after that she is aware of being hit by Alzheimer’s and its consequences and warns Grant about the latter. At times she walks within a room like a ghost, mourning lost memory without crying over it. There is a repeated shot of her looking lost in her vast snowy backyard. The minimal use of the film score, the lack of overwrought crying scenes. Mostly, this movie’s approach is about what’s not being given nor shown nor heard, letting the audience react in their personal way. I’m thinking of other actresses that might be able to pull of the character, Canadian ones. Mary Walsh would rock the skiing scene. But Julie Christie is a solid statue as Fiona and doesn’t let go, as they say. No one can do elegance like the kind she puts into her character. That sounds a little dreary to many of you, but there’s some verbally aggressive yet sometimes comic anger from the characters, especially the women. Fiona gives Grant the worst goodbye ever. Miss Montpellier (Wendy Crewson) condescends to him. Kristy gives him a torrential speech about the obliviousness of men, out of character for archetypal customer service characters. Marian’s (Olympia Dukakis) is just rough yet likable. The men get in on the action too. Grant comments on seeing his wife in the aged home, and Fiona’s new boyfriend Aubrey (Michael Murphy) can do so much with a look. You can look at the film as Grant’s world crumbling just as much as its implied gender dynamics. He’s learning about women and female anger and unwritten institutions of womanhood that he’s been oblivious to. Through Fiona’s degenerative condition, Fiona, Grant and the supporting characters in their lives are feeling the end, and therefore things must be said and revealed. It’s also a ‘Canadian story for Americans’ narrative, which shows especially in Marion’s words like ‘Kamloops, BC’ ‘Canadian Tire.’ The whole room knew where Kamloops is. There’s also the retired hockey commentator who gives some of the best moments of the film. The only flaw of this movie is when Grant uses a metaphor to describe Alzheimer’s, like light switches in the house turning off one at a time. 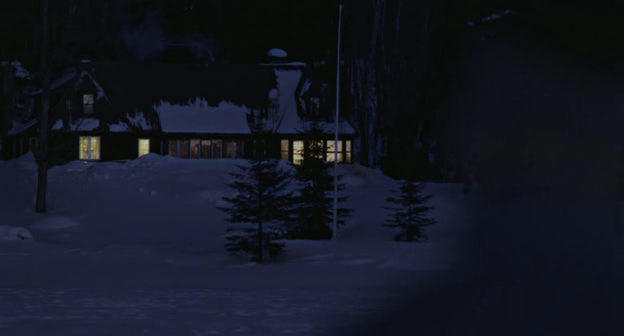 Then the film shows their house and the lights turn off the way Grant has described. I believe in showing or telling by not both. The rest of it is a story about loss with comic relief, surprising for director Sarah Polley’s reputation.